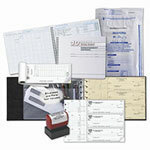 Plain Blue Personal Checks Meet Your Basic Check Needs so why not order today? Wondering what kind of personal checks to order online? If you are seeking a classic and timeless look, the Blue Safety Checks may be the checks you want to order. This style of check has been around since the beginning of writing checks from your local banks. Sturdy, safe and easy to read, the blue check is a basic style for just about anyone. Order yours today.